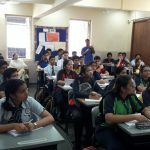 Lions club of Mumbai organized the program “Shifting the lens” for students of grade X on Friday 1st February, 2019. Eminent speakers for the day were Prof. Nerulkar and Prof. Khandelwal. 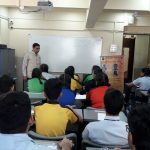 Students were explained the techniques to make learning easy and overcome the examination fear. 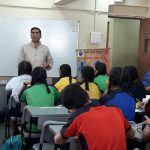 It was indeed a fun filled and an educative talk which will surely help our students in the upcoming board exams.